← Who knew? Honey jar use in Voodoo. The next time you go to the grocery store and pick up a package of meat to throw into your cart, please stop and ask yourself; Do you know where it came from? What town? How was it raised? What did it eat? Who butchered it? With the recent news of the USDA saying it will allow American chicken to be sent to China for processing (not slaughtering, as their standards don’t even come close to the US) these questions are paramount to food safety and the future of farmers in America. The typical chicken you see on your plate, if bought at the grocery store, has already traveled 1,000 miles to get there (way to far already in my opinion). If big-ag decides to go ahead and start shipping their birds to China for processing, that same chicken will have traveled 15,000 miles. While the USDA makes it nearly impossible for small farmers to achieve USDA slaughterhouse status in the US, it boggles the mind that it would be OK to ship meat 15,000 miles to a country that has zero regulations on how they process their meat. I love a bargain, but sometimes you get what you pay for and it isn’t always good. Two people handle the chickens here, two. When you visit you pass the chicken houses and see how they are raised, when you come into the shop you meet the two people who have raised, fed, cared for and processed the meat you are buying. Any farmer will tell you that processing your animals on site is more humane for the animal, and typically in big-ag a 10% loss is expected right off the bat due to animals dying in transport. We did not get into the chicken farming business to become the next Purdue, we are doing this out of loving what we do and our concern that food has turned into too much of a mystery in this country, with whole sections of government arguing over weather the consumer has a right to know what they are buying and what to put on a label. Please support your local farmers. Click on the articles below for more information on the USDA allowing chicken transport to China, and the fight for small farmers to process on-site. FAQ: What’s Going on with Chinese Chicken Processing? Many people have had something to say about chicken and other poultry destined for U.S. tables potentially coming from or through China. The latest concerns come from 14 members of the House of Representatives who wrote to the chairmen and senior Democrats of subcommittees responsible for funding the U.S. Department of Agriculture. Since the issue is a complicated one, Food Safety News wanted to offer a primer on poultry slaughtered and processed in China. Was my chicken slaughtered in China? No. In November, USDA’s Food Safety and Inspection Service (FSIS) announced that its audit of China’s poultryslaughter system found that it’s not equivalent to America’s. This means that poultry slaughtered in China is not allowed to be imported to the U.S.
Is China allowed to process U.S. chicken? Yes. 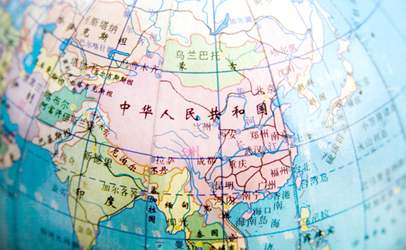 In August, USDA reaffirmed that China’s processing system in equivalent to ours. This wasn’t exactly news since China’s processing had been established as equivalent back in 2006. But, regardless of the timing, it means that poultry raised and slaughtered in the U.S. or another approved source (Canada or Chile) could be shipped to China where it’s processed and then shipped back to the U.S.
Then was my chicken processed in China? No. China has to certify plants to process chicken for export and give a list of them to FSIS. The country hasn’t done this or signified that they intend to. In addition, U.S. companies have not expressed the desire to have China process their poultry. If, in the future, our chicken is processed in China, will we be able to tell? USDA says the products would have a label reading “Product of China,” but there are a number of loopholes to existing labeling rules that could leave consumers in the dark on this one. If our chicken is ever processed in China, will it be in school lunches? Maybe, but not through USDA. Food that comes to schools through the agency for the National School Lunch Program (NSLP) is required to be 100-percent domestically grown and produced. But schools don’t get all their food from USDA, and, if China ever did start processing our chicken, there would be the possibility that private vendors could sell it to schools.